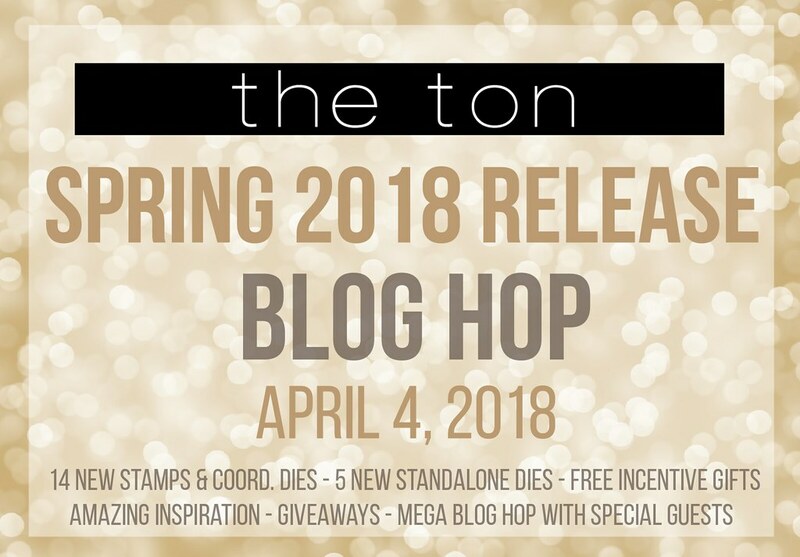 Hello and welcome to The Ton's Spring 2018 Release Blog hop! I have two cards to share with you today featuring two of their brand new stamp sets! My first card uses a really beautiful new stamp set called Beautiful Betas! This se,t you stamp four different layers and then you are just blown away! My husband even made a big deal about how cool this card was. That's a lot folks! :) Anyway, I used some of the beautiful inks from the ton to stamp these. The colors I used on the top fish are Plum Wine, Grand Fuchsia, Orchid Crush, Iris Blooms, and Violet Fringe. On the second fish I used: Cali Blue, Azurite, Deep Sapphire, and Grape Crush. The seaweed was stamped with Lofty Mint, Bright Emerald, and Soft Garden. After I was done with the stamping, I blended a little of the same inks onto the background and splattered with a tiny bit of white ink. The sentient was heat embossed with white embossing powder on black card stock, cut out, and adhered with foam tape. My next card is using the Large Dahila stamp set. I stamped it with waterproof black ink onto watercolor paper. I then used Peerless watercolors, wet my paper completely, then dropped color and let them blend. After they dried, I splattered with the same colors and then some white ink. The sentiment is from the Beautiful Betas stamp set. I heat embossed it with white embossing powder onto black card stock, cut it out, and adhered it with foam tape. oh wow. these are amazing. The first set of stamps is so unique and you made a gorgeous card with them. The second card is a just a beautiful explosion of color, so perfectly made. You rock!! Awesome cards, Kay! Love the colors on both. The flowers are beautiful. The betas are stunning! They look like flowers at first. Such gorgeous colors that blend together wonderfully. Fantastic work! Hugs! Your color choices on both cards is gorgeous! The fish are beautiful. Your two cards are simply stunning. So much depth and detail. The colours are vibrant. Love both these stamp sets. Both of your cards are beautiful, especially the dahlias! Love the technique. Both your cards are absolutely, breathtakingly stunning. 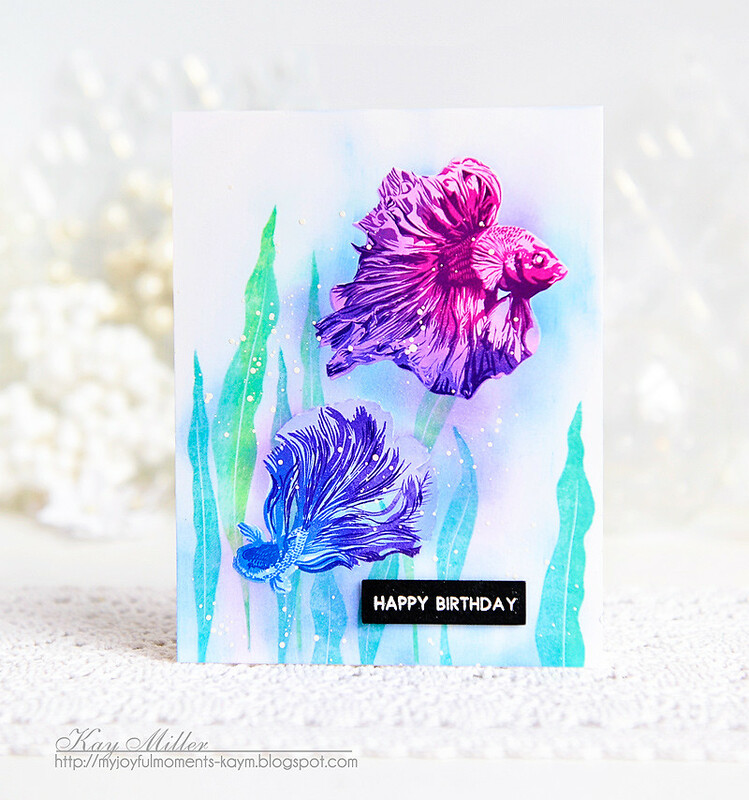 Love your cards, especially the watercolor fish! Looks like they are actually swimming in the water! Oh my, both are STUNNING. These are beautiful with magical color mixes as always!!! Wow..both your cards are stunning !! So vibrant colours. Love the coloring on your bettas! gorgeous. espeecially the watercolorred dalias. These are beautiful, Kay! The colors are so vivid & amazing! Your colors are beautiful!! Thank you!! Such striking cards! So wonderfully bold and vibrant. Love the bright colors of your cards! Your color choices are perfect! I will try your technique with watercolor. especially the top one. The colors are fabulous! WOW! I love the beta fish!!! Amazing cards, Kay! Oh my Gosh!! You cards are Totally Vibrant and Gorgeous!! Love the color choices!! Thank you for sharing!! Ooooooooh, these must be some of my favourite cards from this hop so far, I love how you use colour! those fish are just gorgeous!! I AGREE WITH YOUR HUSBAND!!! WOW!!! GORGEOUS WORK on these Betta Fish!!! TOTALLY STUNNING card!!!!!!!!!!!!!!!! PERFECT COLORS! LOVE IT! And your second card is GORGEOUS TOO! LOVE the colors you used on this one too!!! EXCELLENT JOB, Kay!!! 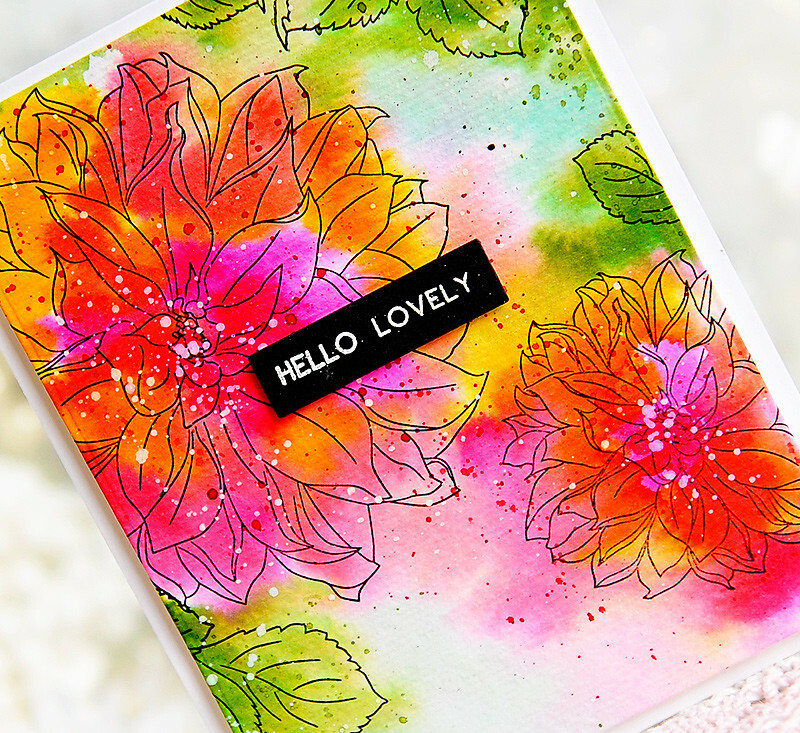 Your large dahlia card is awesome, bright,happy and so well designed. Love the vibrant colors on both of your cards! The bettas are jewel-like on your card. The dahlia is reminiscent of an impressionist painting. Quite stunning. LOVE these cards! The dahlia card is just too beautiful. The betas are also very pretty. Beautiful cards. I love the vivid colors. Oh my goodness, both of these are gorgeous! The peerless made beautiful flowers! Very bright and inviting cards. Love your color choices. Both of your cards are gorgeous!! love your cards - so bright and colorful. I adore all your beautiful cards! These are magnificent Kay! Your floral card is out of this world!! Beautiful cards. Love the Beta fish. Thanks for sharing. The vibrancy on both of these are gorgeous! The Dahlia card is wonderful! The colors are so vibrant and happy! Wow, those fish were so elaborate And ornate! Lovely!!! With the right colors and you got them those fish are just fantastic. The flowers are beautiful also, but the fish wow me. Your fish card is amazing! Your color choices are so vibrant and magical! What an amazing job! Thanks for sharing! Just when I didn't think those fish could be anymore beautiful! Yours are amazing, stunning, & gorgeous! Both your cards are beautiful but those fish steal the show for me. Thank you for inspiring. Love your color choices and style! 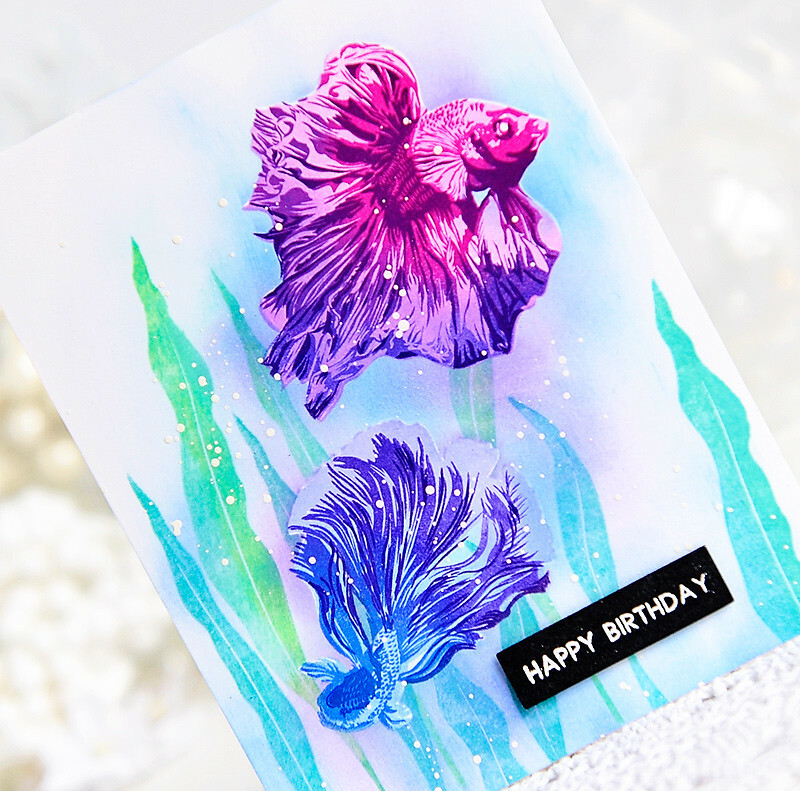 I love the fish card with the beautiful purples, and the colors in the flower card are also stunning! Gorgeous cards, when I saw the betas, I didn’t think it could be topped and then I saw the dahlias. Amazing job. beautiful cards, Kay - love the colors you chose for your bettas! Your beta fish were the best I've seen. The flower card blew my mind! Gorgeous combinations of colors! These floral cards are amazing !! Your Beta fish are INCREDIBLE!!! Love the flowers too. STUNNING cards. Beautiful cards and zi love beta fish and the colors you used. So pretty. This really a big wow flower. I love the colors of those bettas! :) The flowers are beautifully colored as well. Awesome job! Fantastic cards! I love your fish - fantastic choice of colours! Gorgeous cards 😍 Love the bold colors you used!!! Wow--gorgeous colors on your cards. Your cards are stunning...such beautiful, vibrant colors! Wow! These colors are so bold and beautiful on both!